The U.S. Social Security Administration receives hundreds of thousands of Social Security Disability applications each month. When a disability prevents a person from working, Social Security Disability (SSD) is an essential financial source of help. Unfortunately though, recovering these funds without the help of a Phoenix disability lawyer can be rather difficult. Contrary to popular belief, a large percentage of social security disability claims are denied by the government. In fact, the majority of applicants are turned down upon their first attempt to file a claim. With this in mind, Arizona residents should seek the help of a legal professional in order to put themselves in the best position to successfully be approved and receive the monetary benefits. If you or a loved one has been denied SSD on your first try, a Phoenix disability lawyer from Phillips Disability, P.C. is here to help. With office locations in several states, Phillips Disability, P.C. is able to provide services to clients across the nation. Fill out a Free Case Evaluation form today to learn more. If you are unable to work in Arizona due to any combination of significant injuries or illnesses, you may have rights to government-administered Social Security Disability payments under the Social Security Act. However, most applications filed without the assistance of experienced disability lawyers are denied, usually forcing an extended disability appeal which can last for two or more years. Meanwhile, a successful application represented by a SSD attorney will result in disability payments being disbursed to you in the form of a U.S Treasury check starting with the sixth month of your extended disability (there is a five month waiting period during which the government does not pay for your disability). For guidance throughout this complex process, contact Phillips Disability, P.C. at your earliest convenience. If you are thinking about using the Social Security Early Retirement option because you can no longer perform your customary work in Arizona. A Phoenix SSD attorney may be able to show you how to preserve your full retirement benefits while collecting tens of thousands of dollars under Titles II and/or XVI of the Social Security Act. If you are an AZ widower over 50 and you've become disabled within 5 years of your spouse's passing, you may be able to claim Social Security Disability benefits on your deceased spouse's higher earnings record, thereby increasing the amount of money the government sends you for your disability payments each month. If you have had a prior application that has been denied within the prior four years, a Phoenix Social Security Disability attorney can make a motion to re-open that application. For more information, call or text 1-800-706-3000. Generally speaking, social security disability claims are broken up into four main categories. Understanding the differences between claims is essential to successfully applying for a claim. In addition to meeting several criteria outlined by government, applicants must utilize the guidance and legal advice from a professional. The Arizona Social Security claim attorneys from Phillips Disability, P.C. have the knowledge, experience, and available resources necessary to help you attain the benefits that you deserve. You have worked hard, and at Phillips Disability, P.C., we believe that you must be compensated for your inability to work. If you have a hearing that has already been scheduled, call our SSD lawyers immediately, 24/7 with the date and time of your Social Security hearing. Understand that if you appear at a hearing without a disability attorney, the judge will request that you consider adjourning your hearing in order to allow an experienced Social Security lawyer to provide you with a better chance of winning. The judge may even just require one adjournment so that the record is clear you have been given every last opportunity. Then, if your hearing is adjourned, the delay may cost you several more months of waiting before you get the judge's initial decision. Appearing without experienced counsel can also result in waiver of rights or failure to recognize what objections should be raised or preserved in the process. Avoid the hassle of delay, additional hearings, and headaches. Contact a Phoenix disability lawyer today. The Social Security Disability attorneys at Phillips Disability, P.C. 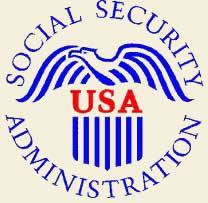 know how to win your Social Security Disability or SSI claim. We will vigorously cross-examine the government's medical and vocational witnesses against you. Your claim did not get to the hearing level without evidence in the record which is contrary to your interests, or unless you have failed to meet one of your burdens of proof (probably due to a legal technicality that your doctor did not realize when writing your medical reports). Do not take the chance of allowing unfavorable evidence to obtain undue consideration when our attorneys might be able to get that evidence struck from your hearing record. Do not march blindly forward, suffering undue delay, when our attorneys can spot and cure technical defects rapidly and potentially assist you to avoid the SSD hearing process altogether. Phillips Disability, P.C. has years of experience with social security law. Our attorneys have the experience and resources to craft a successful case that bears the maximum compensation possible. Call Phillips Disability, P.C. today at 602-258-8888 to have any disability law question answered correctly and promptly. We are Phoenix disability lawyers. This is what we do. Complete our Free Case Evaluation form today to learn more. What Is the Appeals Process for Social Security Disability? Do I Qualify for Disability Benefits After a Car Crash? How Does Income Affect SSI Disability Benefits? Can I Receive Social Security Disability Benefits for My Depression? Very good people to work with always kept me updated and got my situation handled!